Six deaths were recorded in Dompu in West Nusa Tenggara (NTB), three in North Sumatra and three in Central and North Sulawesi. According to Antara, health officials in Ambon reported one fatality and 101 infected in the Maluku city. The ministry’s director for vector-borne and zoonotic diseases, Siti Nadia Tarmizi, said the outbreak was caused by low rabies vaccination coverage for both stray dogs and pet dogs. She further said that giving vaccines to the dogs was the responsibility of the Agriculture Ministry, especially its Animal Husbandry Directorate General. 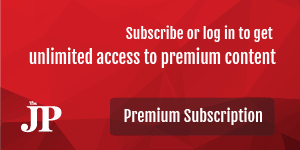 “The coverage [across provinces] is still at 30 percent. We still have 26 other provinces that have not eliminated from rabies,” she told The Jakarta Post on Thursday. The ministry said what was more appalling was that NTB, one of nine provinces that had been declared rabies-free, suffered the most from the outbreak. Rabies is a serious infection of the nervous system caused by lyssaviruses, which is transmitted by the bite of a rabid animal. The government earlier announced that there were nine regions that had been declared free from rabies, namely Bangka Belitung, Riau Islands, Jakarta, Central Java, East Java, Yogyakarta, Papua, West Papua and NTB. An emergency status for rabies was declared in Dompu, where the Health Ministry distributed 2,800 antirabies vaccines. 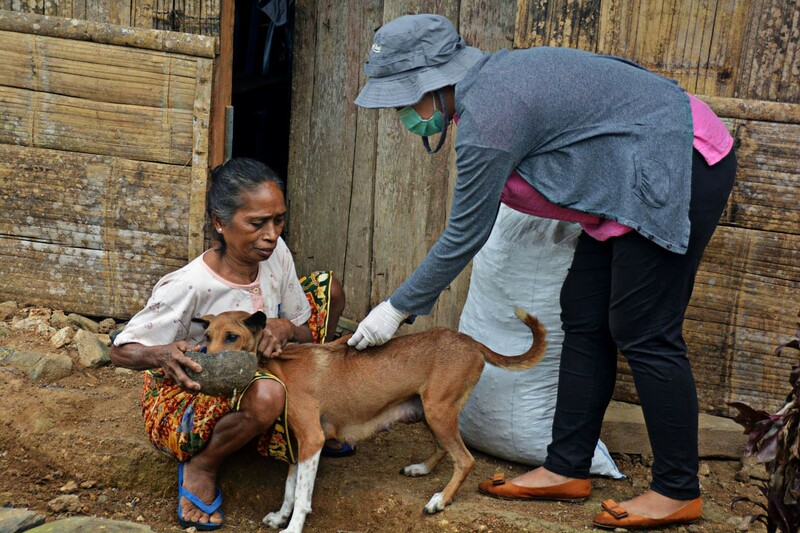 “There will be another 600 vaccine bottles from Jakarta, so the supply so far is secure,” said NTB Health Agency head Nurhandini Eka Dewi, expressing hope that agriculture officials would soon eliminate stray dogs in Dompu to curb the outbreak. The Dompu administration recorded a population of over 9,000 dogs in the regency, 4,000 of which were pets while the rest were strays. So far, 1,028 dogs have been put down. “We will continue to eliminate them,” NTB Animal Husbandry and Health Agency head Budi Septiani said, adding that the agency had cooperated with members of the Indonesian Shooting and Hunting Association (Perbakin) to put down stray dogs. For pet dogs, vaccinations were conducted in stages. Her agency was also educating dog lovers on rabies, she said. The results of tests on brain samples taken from the eliminated dogs show that 10 were positive for rabies. The animal husbandry agency imposed tight security in the seaport connecting Lombok and Sumbawa islands. “No dog is allowed to go out or enter Sumbawa. The ones in Lombok have been eliminated. The pet ones have been vaccinated,” she said.